Find what you need on a budget! Unique Promotional Products for less than $1! Promotion Pros is your go to supplier when you're in need of budget friendly giveaway. Whether its for a trade show, company event, or family picnic we have a variety of products that' won't break your budget. Do you need ideas or reccomendations? We are always here to help! Contact customer service via phone, email, or chat! Call us at 866-44-PROMO to find promotional materials to fit your budget. 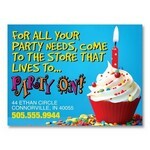 Provide a branded 16oz Smooth Stadium Cup for guests to remember your company or event even after the party is over. 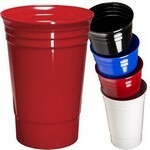 These sturdy reusable cups are a great keepsake for customers. The 3 x 4 Rectangular Magnet makes a great hand out at conferences, trade shows, conventions, and other networking events. Our custom logo 9" standard latex balloons make ideal party gifts, birthday favors, anniversary decorations and bring attention to your business. 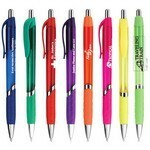 Promote your business with personalized logo Blair Retractable Pens. Custom promotional writing instruments are a great way to leave a lasting impression. 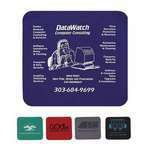 Imprint your company’s logo on the Computer Mouse Pad and gain brand awareness economically. This computer accessory features an impressive amount of surface area to include all information relevant to your company. Customize the Vegas Gel Plastic Cap Ballpoint Pen with your personalized business logo and make a lasting impression at your next corporate company event! 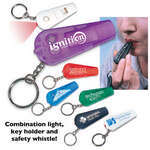 Let your customers’ whistle with this Light 'n Whistle Key Tag! The plastic translucent case houses the red light, an attractive metal split, and a whistle. This multi-use key tag has a red LED light on one side and and a whistle at the other side. The MaxGlide Click retractable ballpoint pen is designed with comfort grips for the ultimate writing experience. Be ready for emergency spills with the Mini Tissue Packet. 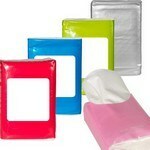 The tissue features a re-sealable closure. This Preston W click pen has a pristine white barrel with a clip in your choice of colors. Retract-A-Badge is a round shaped new age badge to display your identity cards. It Features a 30" long, auto-retract cord, handy pocket/lapel clip on back. 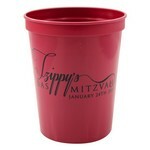 Now be responsible when you party in style with this Single-Wall Everlasting Party Cup. This Party Cup is an Eco-Responsible™ product.